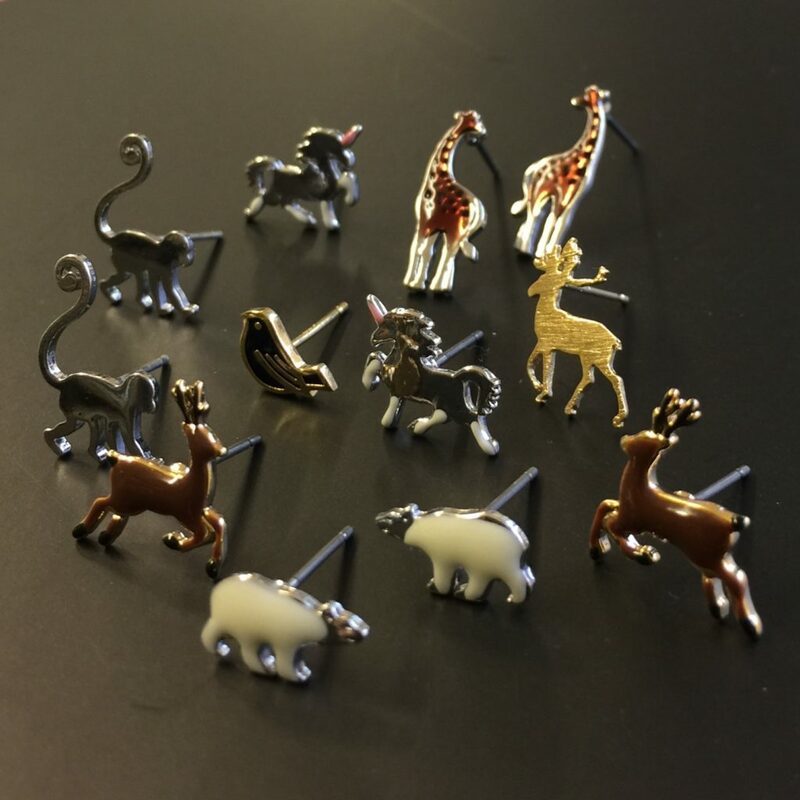 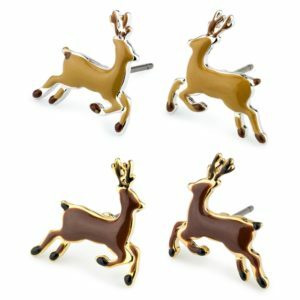 Animals great and small feature in our collection of tiny stud earrings. 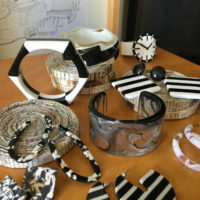 What a mad menagerie! 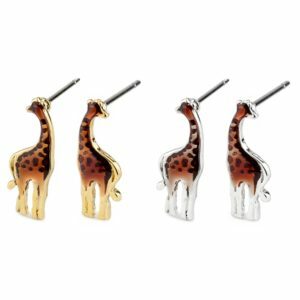 We have enamelled giraffes, crystal encrusted snails, flamingos and butterflies, polar bears and icebergs and leaping stags and unicorns. 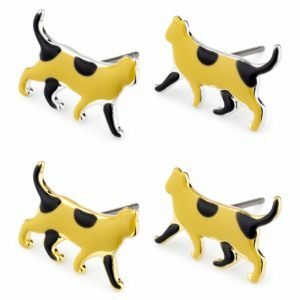 Domestic favourites like cats are accompanied by various breeds of ‘man’s best friend’. 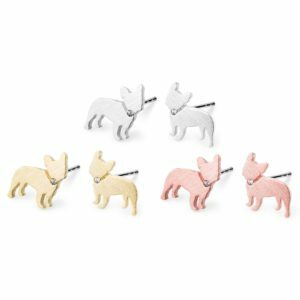 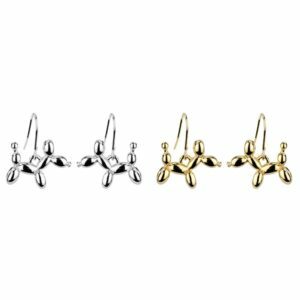 Terriers, Dachshunds,poodles and Scottie dogs come in matt yellow and rose gold and silver finish or shiny metal and enamel, set off with the addition of a tiny crystal or two. 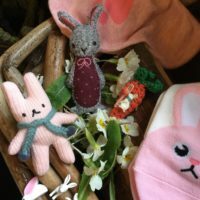 Lovely detailed animals on the smallest scale imaginable form much of this crazy All Creatures collection. 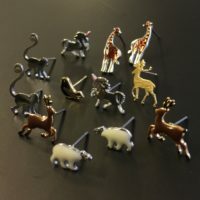 Jungle and Savannah animals such as Capuchin monkeys, zebras and giraffes in subtle metals sit comfortably alongside vibrant enamel elephants, parrots and clown fish. 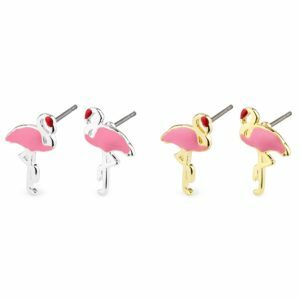 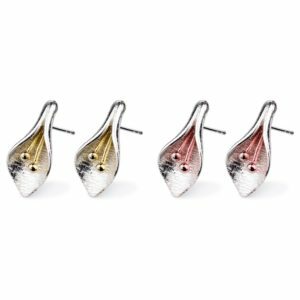 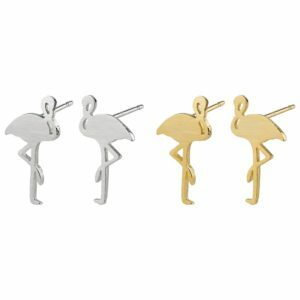 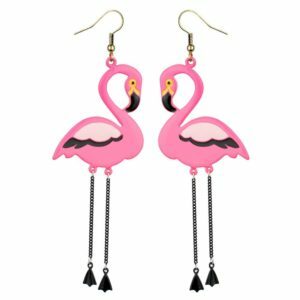 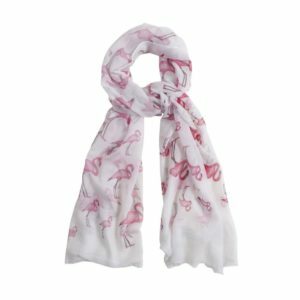 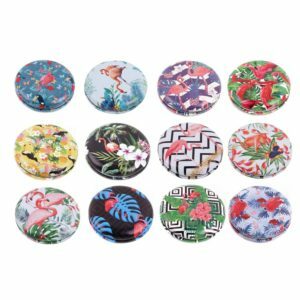 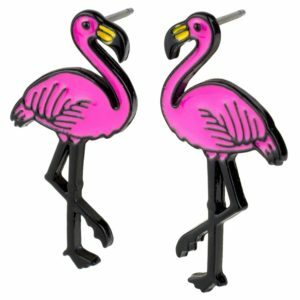 Flamingos come in many forms from tiny studs as tiny, tasteful silhouettes and electric pink painted earrings to zany chain leg drop earrings. 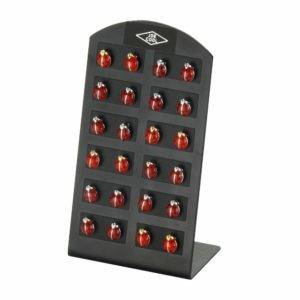 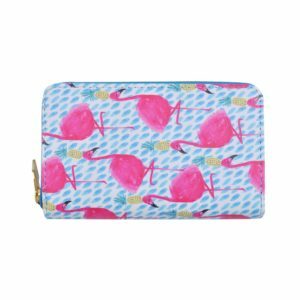 This brilliant bird also features on wallets, scarves, patches, compact mirrors and coin purses. 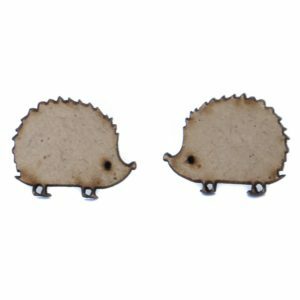 There are plenty more animals to be found within our other collections too. 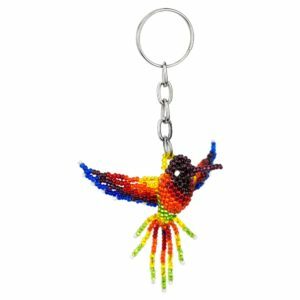 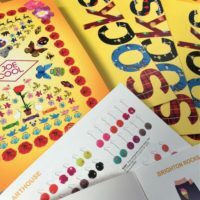 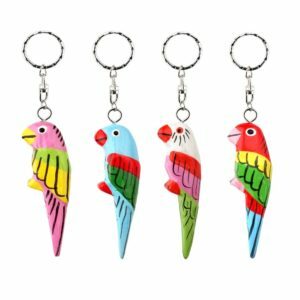 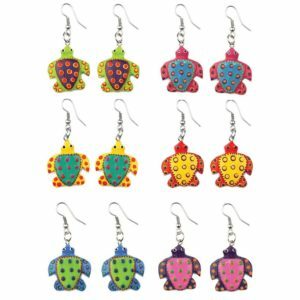 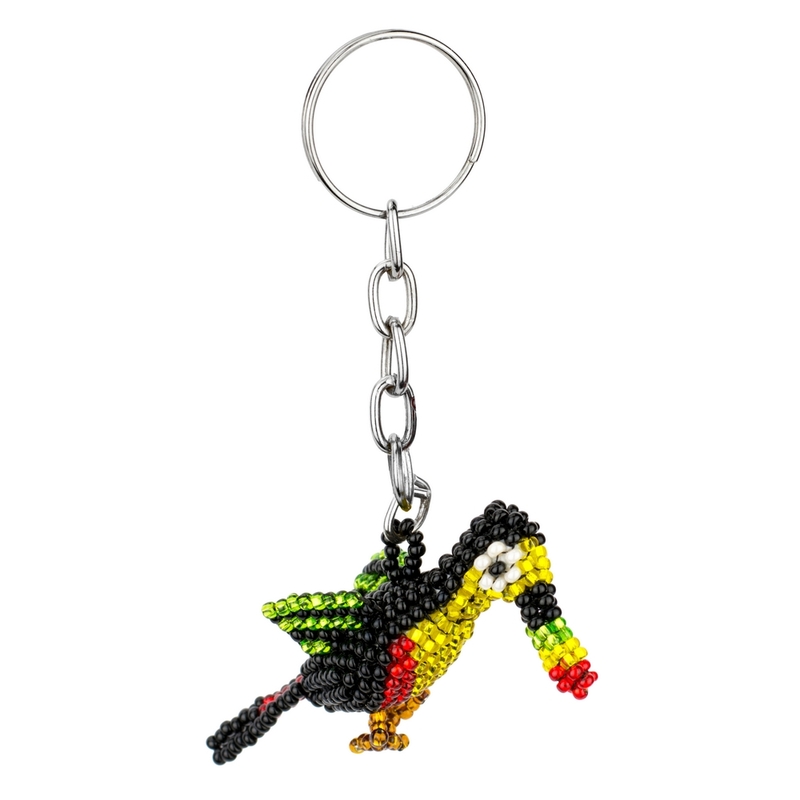 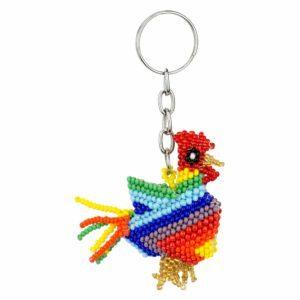 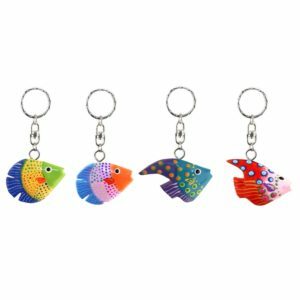 Mexicana has glorious hand-painted fish, turtles and parrots in assortments of four dazzling colour combinations; choose key-rings or drop-earrings.Colourful key-rings also come as beautiful beaded confections with toucan, cockerel and hummingbird competing for your attention. 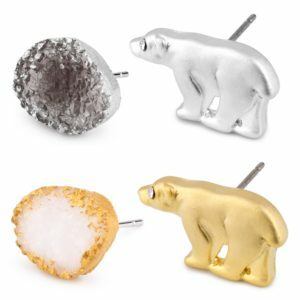 The Flora and Fauna collection features a different kind of tiny creature. 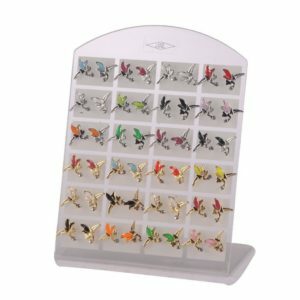 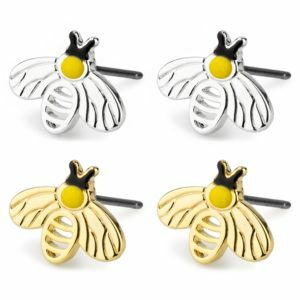 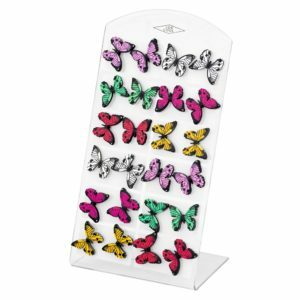 Delicate little enamelled butterfly stud earrings, bees in various forms and scarlet ladybirds.A great value butterfly, comes as a small printed resin assortment. 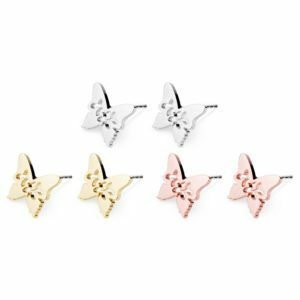 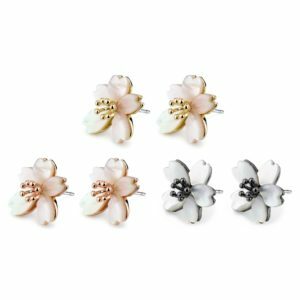 Pretty flower stud earrings are also new additions to the collection with petit shell and gilded cherry blossom, mother-of-pearl daisies and even an unusual calla lily. 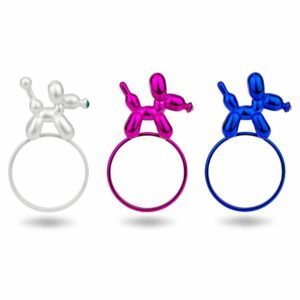 Balloon animals offer an altogether different look. 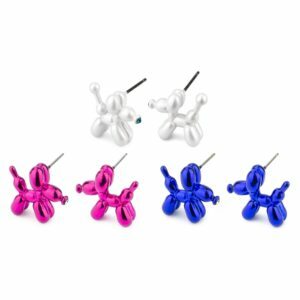 Our metallic poodles come as tiny studs and rings in deep blue, fuchsia and pearl white and drops in shiny gold and silver. 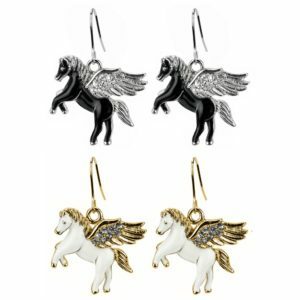 Further searching will reveal wooden hedgehogs, flying Pegasus, and even fairies!